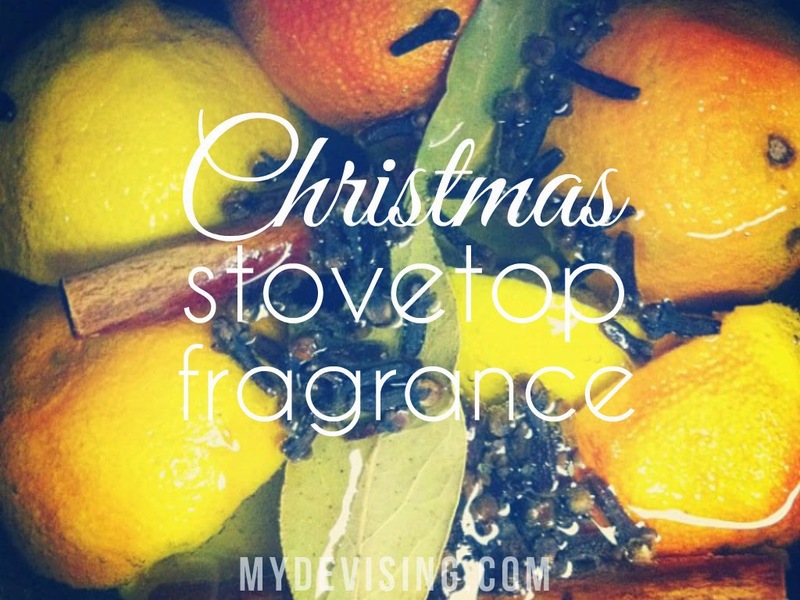 All the makings for a wonderful Christmas stove top fragrance! Slice the fruit in half and throw it into a pot along with the other ingredients. (You can just use half of each of the fruits if you want. You can also use one or two of the fruits, rather than all three, if that's all you have.) Fill it with water and let it simmer on low heat. As needed, refill the pan with water and you can always replace the ingredients for a fresh start. We also decided to go buy a pot at a thrift store to use specifically for this purpose each year. That way, we wouldn't ruin one of our pots that we actually wanted to use later. These ingredients will quickly fill your house with a wonderful holiday scent. I'm so glad the girls introduced this to me. It's one of my favorite things to do to welcome in the holiday season.